Simple—Fast—Effective—Point and Shoot. 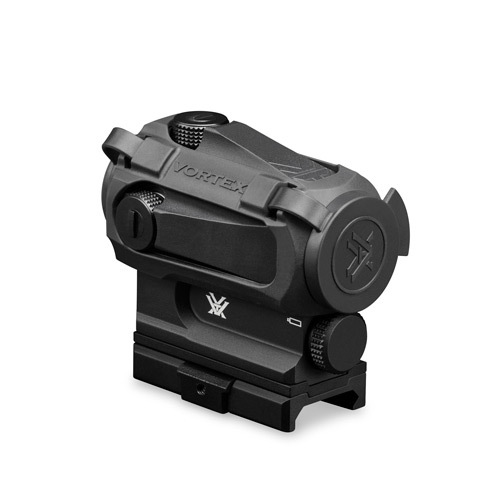 When you boil it down, these are the advantages of a red dot sight. And that’s what the SPARC® AR delivers, all in a durable, lightweight, compact, and rubber armour-clad package. Digital rear-facing power and dot brightness controls in the base offer quick access and are viewable from the shooting position. 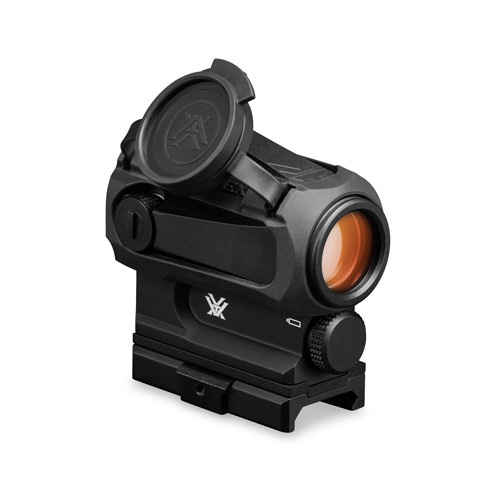 The 2 MOA dot diameter promotes precise point of aim and it automatically returns to the last dot intensity when powered up. 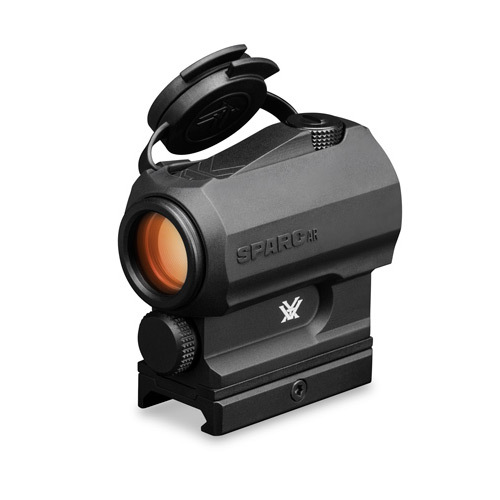 Unlimited eye relief and parallax free, the SPARC AR gets shooters on target fast. Waterproof, fog proof and shockproof for ultimate durability. Unit automatically shuts off after 12 hours to prevent accidental battery rundown and operates using a common AAA battery. Duty rifle - home defence—recreation, the SPARC AR is built to handle all your red dot needs. Multiple anti-reflective coatings on all air-to-glass surfaces increase light transmission. Display is highly visible in daylight. 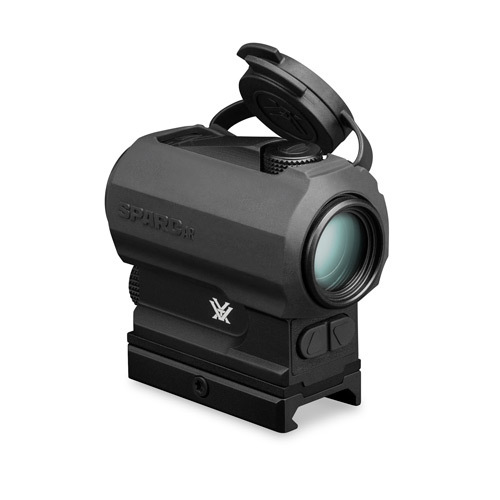 Provides 10 variable illumination settings—the lowest two settings are night-vision compatible. Nitrogen gas purging with o-rings-seals delivers fog proof, waterproof performance. Highly durable low-glare matte finish. Rated from -4 degrees to +158 degrees Fahrenheit. Includes a spacer shim that can be utilized to provide two different mounting heights: lower 1/3 co-witness (40 mm) & absolute co-witness (37 mm). Non-critical eye relief for rapid target acquisition. 12-hour auto-shutdown feature maximizes battery life. Typical battery life is 300 hours at maximum brightness and 5,000 hours at minimum brightness setting. The daylight bright 2 MOA dot is fast and easy to use. Choose among ten variable illumination settings—the lowest two settings are night-vision compatible.